Thank you for visiting my legislative website. I am honored and humbled to represent the citizens of House District 01 which includes Curry and parts of Coos, Douglas and Josephine counties. For the 2019-21 Legislative Session I will be serving as Co Vice-Chair of the Joint Committee on Carbon Reduction, House Committee on Agriculture & Land Use, House Committee on Natural Resources and Joint Ways & Means Sub Committee on Natural Resources. I also serve as the Co-Convener of the Sudden Oak Task Force, Co-Convener of the Maritime Workforce Development Task Force, Co-Convener of the Oregon Coast Trail, Governor's Opioid Epidemic Task Force, Oregon Delegate to PNWER (Pacific North West Economic Region), OCSSRC (Oregon-China Sister State Relations Council) Chair-Southern Oregon China Connection and other workgroups as needed. My legislative office is staffed year round and is available to assist you with any questions or concerns that you might have about legislation, laws, disputes with state agencies, or other state related issues. Please feel free to visit my legislative office at the Capitol, call my office at (503) 986-1401 or send me an email at rep.davidbrocksmith@oregonlegislature.gov. I encourage you to participate in the legislative process. Answering your questions and responding to your concerns is my top priority and I look forward to hearing from you. 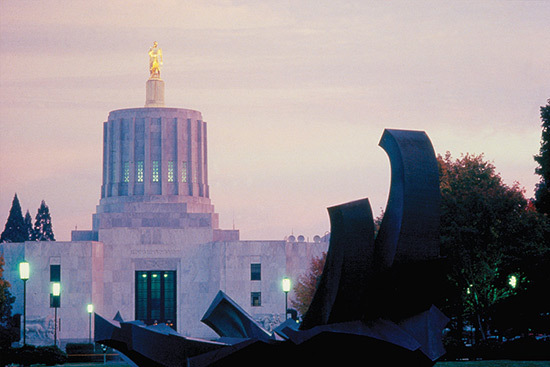 If you want to follow the progress of a bill or watch a committee hearing, you can do so by utilizing the Oregon Legislative Information System (OLIS). Click HERE to go to OLIS. My office sends out an e-newsletter on a regular basis containing legislative and community updates. If you are interested in receiving my e-newsletter, please type your e-mail address into the "E-Subscribe" box on the right hand side of the screen. Thank you for the opportunity to serve you as your State Representative.